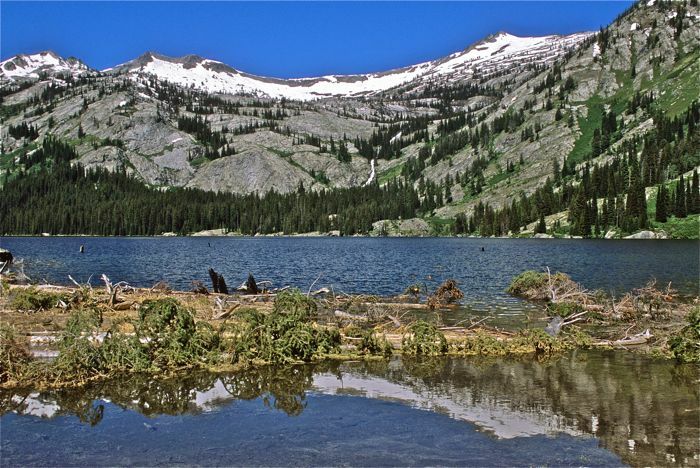 crags rising to over 10,000 feet, and sparkling glacial lake basins with great fishing. Beneath the snow flecked peaks the verdant forests feature huge trees, and there’s a good chance of seeing mountain goat and other native species such as elk, mule deer, and bear. Wolves and mountain lions thrive here, but are rarely seen. We’ll explore the crest of the Bitterroots along the Montana/Idaho border, and we’ll day-hike to peaks and ridges with classically spectacular views of some of the most beautiful glacial-cut terrain in the Rockies! Portions of this fairly strenuous trip are off-trail and near tree line. We have a number of different loop routes to choose from for this trip, and all trailheads are roughly a one to two hour drive from Missoula. 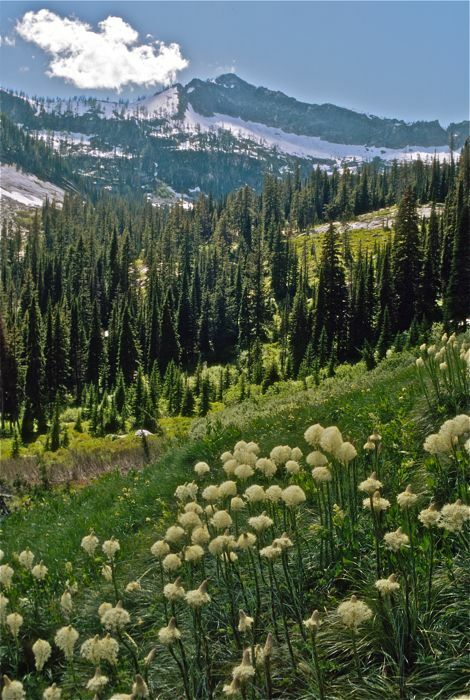 The scenery, including big peaks and big trees, is world-class, but this Wilderness is relatively unknown outside of Idaho and Montana. TREK BASE: Holiday Inn Downtown, 200 South Pattee Street, Missoula MT 59802; phone 406-721-8550. 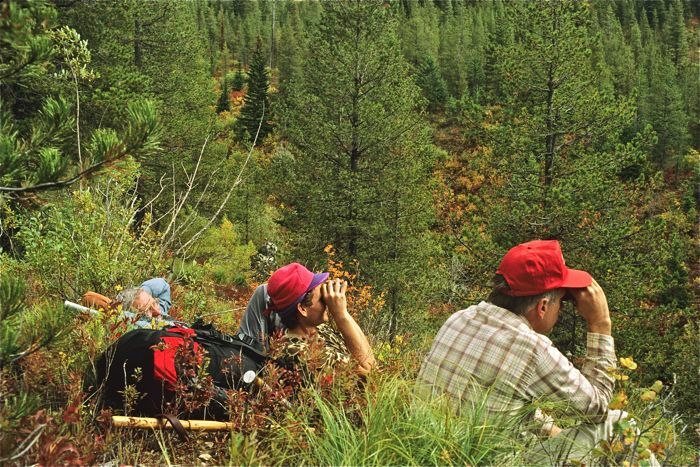 Mention Big Wild Adventures & ask for reduced “Montana Outfitter Rate”. Make sure you get the local motel desk, not centralized Holiday Inn Reservations. Fly to Missoula & call motel for airport shuttle. TRANSPORTATION: Major airlines to Missoula, Montana. TREK RATING: Fairly strenuous. Much of the route is off trail through forest and over open to rocky alpine terrain. We’ll cover 6-8 miles on backpacking days; usually we have a couple of layovers. There are some steep stretches, so good physical conditioning is essential! Total mileage (not including day hikes) is 25-30. ELEVATIONS: 4500-8500 feet with optional day hikes to higher summits. Maximum one day elevation gain with backpack is about 2500 feet. WEATHER: Warm dry days with 40 degree nights are typical; brief thunderstorms do occur, prolonged rains are unusual in summer, but in the high country any kind of weather is possible and we must be prepared. Click here for a National Weather Service forecast. SPECIAL FEATURES: Some of the most rugged and craggy terrain in the Rockies, with sparkling high lakes and lush forests with huge trees in the stream canyons, plus summer wildflowers, mountain goats, wild wolves and more! 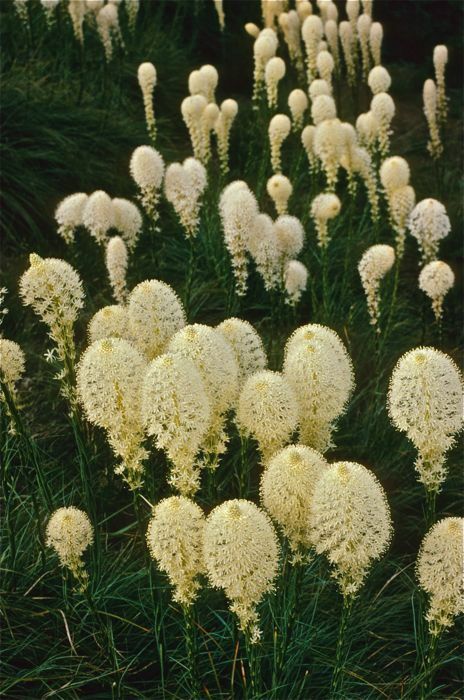 Summer snow fields. Spectacular! A unique mix of the Pacific Northwest and the Rocky Mountains. SPECIAL TIPS: Be in top shape and pack light (eschew non-essentials)! 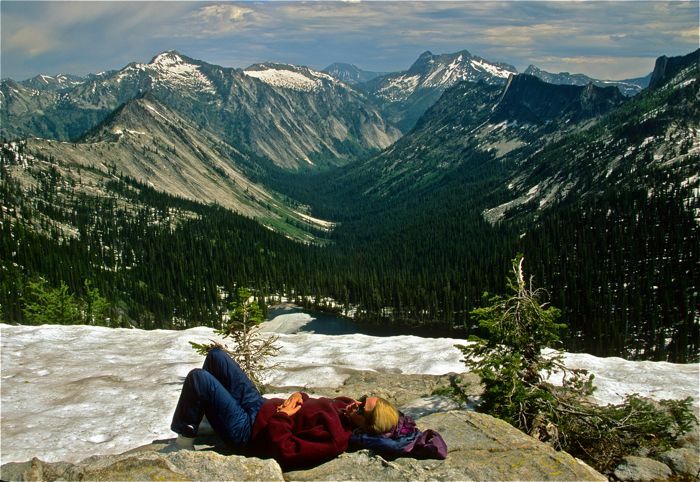 STATUS: One of the largest designated Wilderness areas in the lower 48 states, the Selway-Bitterroot was designated in 1964, when the Wilderness Act was enacted. ITINERARY: Plan to spend the first two days gaining elevation on trails; then comes the high off trail fun. All trail-heads are an hour or two from Missoula.